Creamery Station’s inaugural show in New York City took place Friday January 20, 2017. So many of you, our friends old and new, were there to support us. 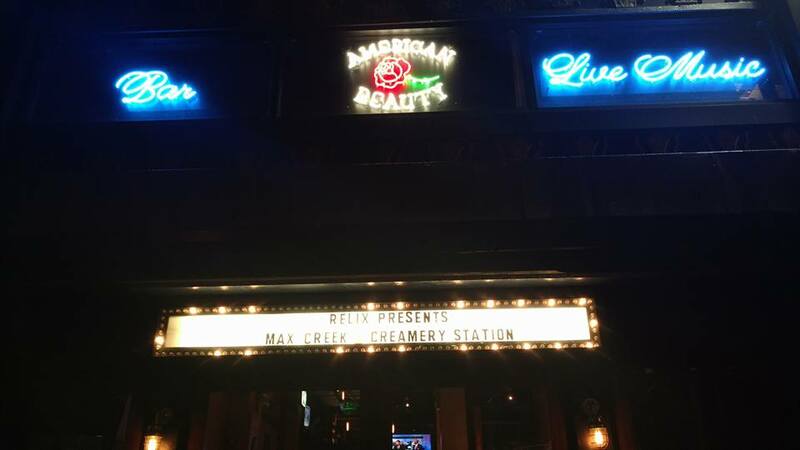 We opened up for one of our favorite bands, Max Creek, at one of the finest clubs in the city: American Beauty. The house was packed, Dan Howard projected his always spectacular Case of Space Liquid Light Show, the sound system was state-of-the-art. The high ceiling with its gorgeous chandeliers brought forth, as one new friend described as having a decidedly “Fillmore West vibe.” The free pizza with every drink was a nice touch. The management, staff and technical crew made us feel welcome and appreciated. The sound crew were absolute professionals, accommodating and patient. Max Creek delivered a killer show – energetic, engaging and virtuosic musicianship that kept the crowd cheering, singing along and dancing throughout the night. We are eternally grateful to John, Mark, Scott, Bill and Jamemurrell for their kindness, support and encouragement. 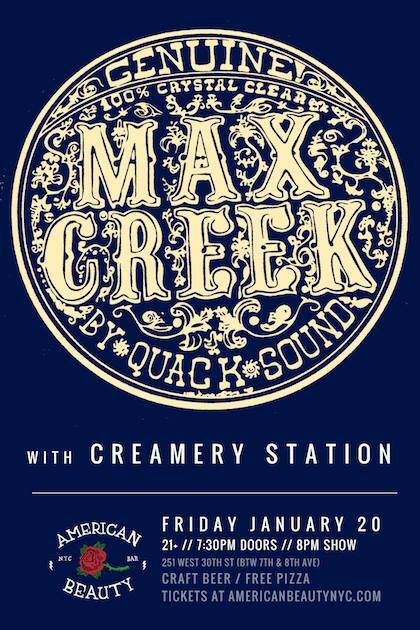 We are privileged to appear alongside Max Creek, a musical institution who have earned the loyalty of so many countless fans worldwide. Our special thanks to Phil Simon and RELIX magazine for making this event possible.